Bonaire Estates emphasizes comfort, tranquility, nature, harmony and hospitality. 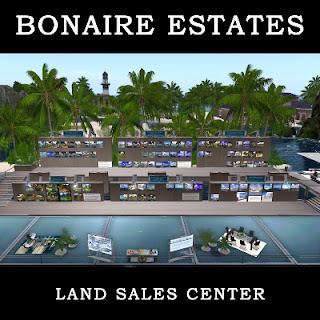 Standing out for its credibility and professionalism, Bonaire Estates accumulates 5 years of experience in the Estate market and owns the expertise to guide residents through the right choice. 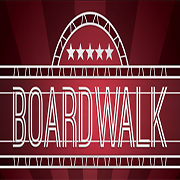 More than an Estate Agency it is a gateway to the realization of our dreams. Master in designing and landscaping, Bonaire Estates consolidates a wide variety of settings that serve all tastes and excels in unique residential and commercial plots, homesteads and full regions with extraordinary natural landscapes and naturally inspired getaways at the heart of an unparalleled multi-regional Venue. 175 Sims, a fully dedicated team of professionals, a crew of Estate Managers who provide 24/7 support, an active and committed community, regular events held on common ground, leisure and recreational spaces conducive to the practice of sports such as water sports on one and a half million square meters of usable water, horse riding trails, bike riding among others, are solid reasons to choose Bonaire Estates as your second home or business space. 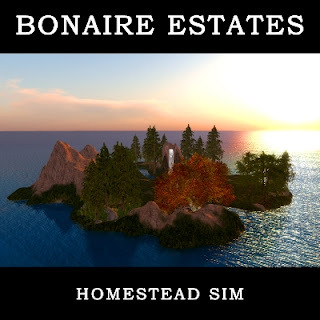 SLE: How long has Bonaire Estates Been in the Business? 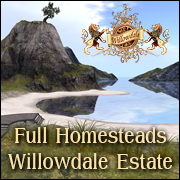 Pup Witherspoon: Milano and I started Bonaire Estates in 2008, with 1 full sim and 2 homesteads. The first full sim was Marbella, where our Caribbean Harbor Club and Sales Center are located now. Milano and I were standing there the other night after an event, talking about how much we've grown, and what our plans are for the next 5 years. SLE: What facilities do you offer to residents? Pup Witherspoon: as far as facilities, we of course have all the usable water and at the Caribbean Harbor Club docks, we have jet skis and wind surfers and catamarans plus any resident whether they live in this residential group or on a standalone sim can come to the club and rez their personal water toys and enjoy all the great space. We have residents with sea planes and hot air balloons, any number of cool vehicles. With all this usable common space over 40 sims, it's a great area to really have fun with things like that. We also have a couple other small continents, almost entry level spaces for residents who need to watch their budget, but we still make those very enjoyable. 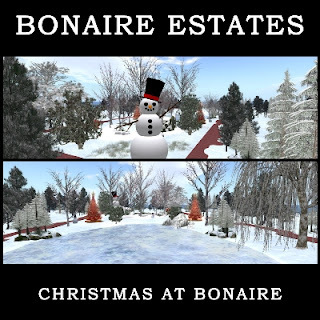 We have a tuscan themed area, with its own little vineyard and common space, and just this week we opened up the first of the holiday spaces with a skating rink. More of those to come! 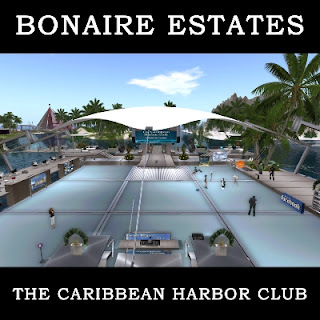 SLE: Could you tell us about the Bonaire Estates Crew? Pup Witherspoon: We're a nest of techies here, which is actually a good thing because our crew understands the underlying structures, and between the group, we have a wide array of skill sets, knowledge of various viewers, and we understand the issues our residents have because of their own personal configurations, equipment, operating systems, etc Crazed is my lead estate manager, and my windows 8 expert and mesh builder. Rhotis Paine is my General Manager and is a Unix expert and knows a great deal about hardware configurations. We're all very up on windows and I have one really good MAC user. So no matter what our residents are using as their platforms, we're able to assist them. We don't limit our support to just land issues because that doesn't provide the experience we want our residents to have, so we deal with the viewer issues, and the graphic card questions and even help if someone wants to upgrade or change their PC by helping them spec a better machine. Plus we do all the normal day to day stuff. Suzanne Piers is our Events Manager and she helps coordinate all that, plus she offers a variety of planning services from simple events to full blown weddings. SLE: What makes Bonaire Estates different from other real estate agents? Pup Witherspoon: I think it's the underlying dedication to resident services. Everyone who works here understands that taking care of the residents is job number one here, wait time to get an estate manager to come help with something is about 10 minutes. We check every single sim 3 times a week, we look for issues, we do performance testing, look at script time, colliders, anything that shouldn't be there, we check to make sure the parcels are properly set so that a griefer can't come in and rez crap or mess with the terraforming. With a new resident, we check in on them 3 times their first week here, first time the day after they move in, because we want them to realize we're just an IM away, we want them to get settled in comfortably without issues, and the only way for a new resident to understand the level of service they get here is for us to be proactive about it. Doing all that means our residents generally don't run into lag issues, because we're restarting the sims every couple days, we're looking for things that cause excessive lag, we’re circumventing the issues with the memory leak that's grid wide by staying on top of the sim performance. No one wants to log in, land at home and discover that their avatar won't rez properly or feel like they're walking through molasses and anything we can do to eliminate those issues; we try to do, not by reacting to them when they happen, but by trying to keep them from happening at all. Everyone I hire understands this coming in the door. SLE: Are you currently hiring new staff? Pup Witherspoon: we are currently looking for 1 or 2 estate managers. I have a classified ad in my profile on that. SLE: What land is currently available for sale? 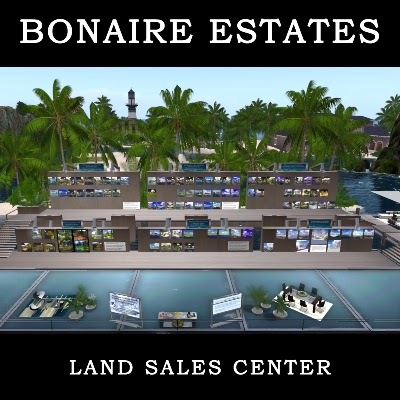 Pup Witherspoon: The land that is for sale is best viewed either at our land center, or on our website at http://bonaireestates.net/ or Marketplace at https://marketplace.secondlife.com/stores/141284. We have it set up at the land center with pictures on boards in groups; Resident areas and standalone homesteads and further broken down by type (Sand, Grass, Snow) so it's easy for folks to find exactly what they're looking for. 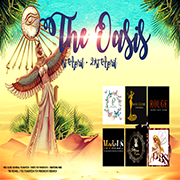 The pictures there are also on the website and SL Marketplace along with price, prim count and an SLURL to make it easy for folks to find exactly the type of space they want. 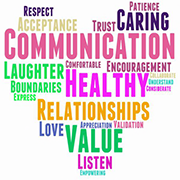 SLE: Could you tell us about the common ground? What kind of events do you hold there? Pup Witherspoon: We do about 15 a week at the Caribbean Harbor Club, Live musicians, a variety for all music tastes. 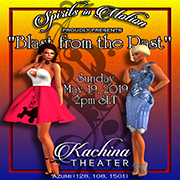 The club really is part of the community and the events are open to anyone in SL, so it's a good opportunity for someone to come and check us out. Usually we have a mix of residents and folks who don't live here but it gives someone who's considering moving to Bonaire the chance to visit, even talk to our residents. I think folks on the grid are getting smarter, and doing a bit more research into estates before they make a change, so it's smart to come and wander a bit, attend an event or two, talk to some of the residents at the events, get a good picture of how they feel about living here. Along with the standard events we do some special things. Right now we're gearing up for the holidays so I've been building this week, some goodies for the residents to have for the holidays. I just picked up my Toys for Tots Donation Jar so I can put that out for our residents and friends to donate to when they pick up their goodies. We had a party end of September for my birthday, a big two sim blowout. Masked Ball in the Woods was the theme and we raised 25,000 for Feed a Smile. On the weekend of Dec 14-15 we have our Christmas Parade of Homes and events.. We also do a snow changeover, which is actually starting to happen now. Each sim votes whether to go snow for the holidays, and when to make the changeover, and when to swap back. 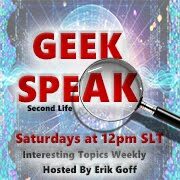 SLE: What are some of the community guidelines? Pup Witherspoon: We do show residents how to lock their house down so they don't accidently take the front porch off trying to pick up a chair. We do have one rule here, if you sail or boat or Jet Ski through someone's house accidently be polite and wave. 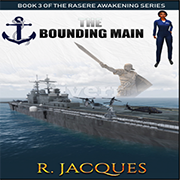 And if you grab a beer out of the fridge as you sail thru the kitchen, please leave a Linden on the counter. We have a good time in group chat. Whenever an estate manager comes on duty the first thing they do is get into group chat and say hi, I'm your EM on duty for the next few hours and that usually generates a lively conversation. Each EM has their own style. Crazed has a quote of the day, something thought provoking, I usually pop in with something silly. 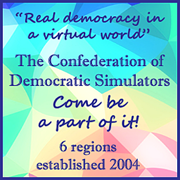 We all have fun here, that’s why we're in SL. SLE: How can non-residents be notified about future events? Do you have a group to make announcements? 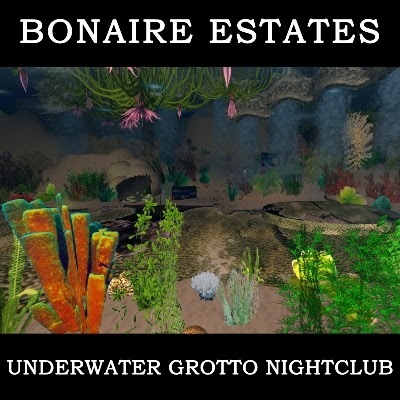 Pup Witherspoon: We do have a group for non-residents who wish to be notified of our events - it's the Bonaire Beach & Grotto Nightclubs group and opens for anyone to join. Our estate groups are by invitation only. SLE: How can people contact you for further information? Pup Witherspoon: Folks can contact me either via IM (My IM's go to email if I'm not on line) or notecard. 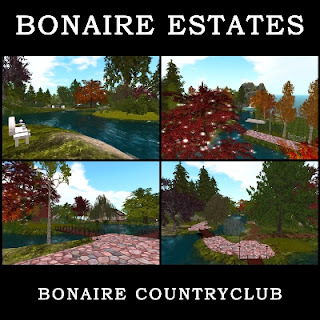 We also have a facebook account for Bonaire Estates and a subscribomatic at the club for folks who want to be notified about what's going on and don't have a free group. SLE: Thank you so much Pup for your participation.